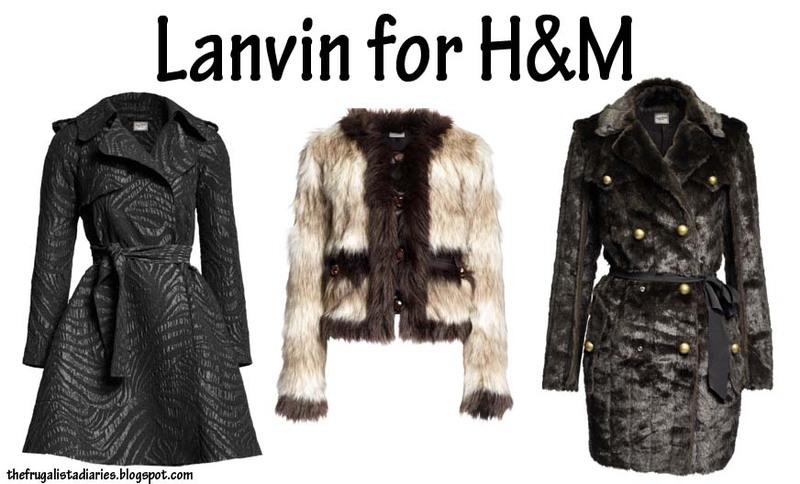 With all the hype surrounding the November 20th release of the Lanvin for H&M collaboration there's bound to be sneak peaks throughout the internet leaving you salivating over the structured frocks, eccentric accessories and the bold prints with amazing pops of color. And although Lanvin for H&M isn't as budget friendly as I would like it be with prices from $20 for sunglasses and earrings to $200 for faux fur military coats and cocktail dresses it's still a drop in the bucket compared to the designer's actual line. I am especially fond of the Military Faux Fur Coat, as well as the gorgeous draping on the Purple One Shoulder Dress, in which I would pair with statement booties and opaque tights. And since all of H&M's past designer collaborations have sold out within hours of opening their doors I recommend you get there quite early if you want a chance at wearing a fabulously constructed Lanvin for H&M piece. What do you think, are you going to be splurging on the designer collab? I can't wait to get my hands on some of those dresses!!!!! !.....not to mention that little black trench! This Lanvin collection is a big disappointment for me. I would never, ever spend $200 on a dress at H&M, I don't care who designed it! Seems like maybe they are trying to bring Lanvin customers to H&M, rather than making things current H&M customers would actually buy.